Jason Jenkins, the owner of Vine and Barrel Wine Shop in downtown Petaluma, is hosting another major Pinot Noir tasting featuring the wines from the Petaluma Gap region of the Sonoma Coast on Saturday April 18, from 3:00 to 5:00 PM. The lineup of participating wineries includes Sonoma Harvest Fair winners James Family and Calstar Cellars, Chronicle Gold Medal Winner Bohemian Vineyard, as well as Hart’s Desire, Clary Ranch, Kastania, Ridgeway, Balletto, Boheme, Windy Hill and more. Jason will be roasting a 100 pound pig and local cheese makers will be offering samples. Adobe Road Winery’s Jeff Buckler will have his Le Mans racing Porsche for viewing and a special guest will provide live music. See why all the buzz about Petaluma Gap Pinot Noirs. Tickets are $30 per person. Call 707-765-1112 for tickets. This will sell out! The first Petaluma Gap Vineyard Tour will be held on Sunday, April 18. This is an informal gathering of Petaluma Gap enthusiasts hosted by some of the local vineyards and wineries. This is not necessarily a wine tasting event, but rather an opportunity to meet growers, walk the vineyards and learn about the Gap’s wineries. The host properties at this first Tour include Ridgeway Vineyards, Clary Ranch Vineyards and Azari Winery. There are plans to continue these tours on a biweekly basis throughout the spring and early summer months. RSVP to pgapinfo@petalumagap.com or call the Petaluma Gap Winegrowers Alliance President, Teela Ridgeway at 707-778-0447. There are two Petaluma Gap videos on You Tube at www.rivetti.petaluma360.com/default.asp?item=2357507 and www.youtube.com/watch?v=zndczE3e55E . The question of whether the Petaluma Gap should have its own appellation designation is discussed. 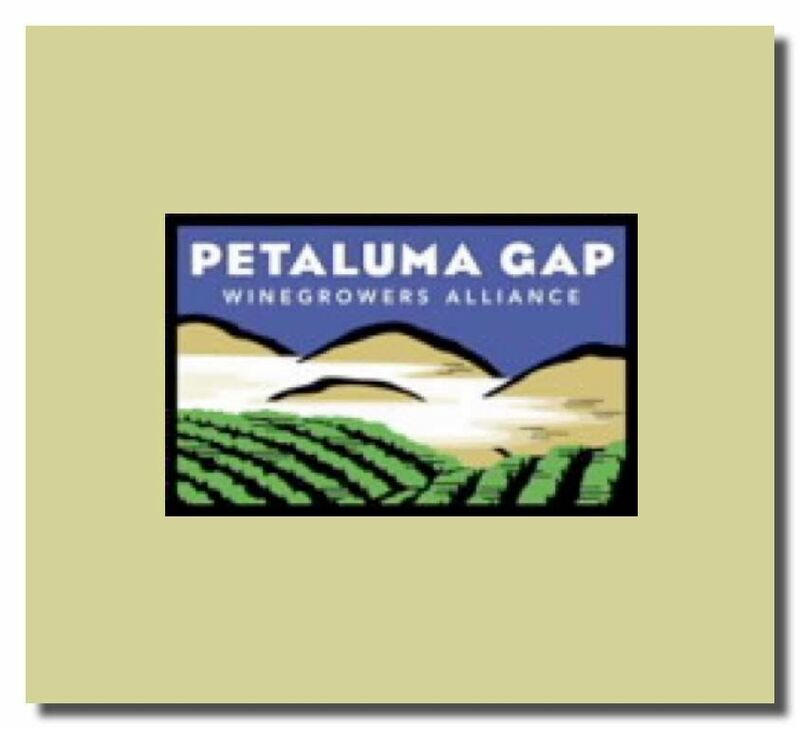 The Petaluma Gap Winegrowers Alliance has a new revamped and informative website at www.petalumagap.com. Member vintners include Adobe Road Winery, Armagh Vineyard, Azari Winery, Clary Ranch Wines, Cline Cellars, Crushpad, Field Vineyards & Winery, Hummingbird Hill Vineyards, Kastania Vineyards, Keller Estate, Morris Ranch, Pfendler Vineyards, Ridgeway Family Vineyards and Sonoma Valley Portworks. There are over 3,000 acres of vineyards in the Petaluma Gap ranging in size from a backyard plot to hundreds of acres. The main varietals are Pinot Noir, Chardonnay and Syrah. Many growers sell grapes to noted wineries such as Auteur, Belle-Glos, Bouchaine, Chasseur, DuMol, Dutton-Goldfield, Flowers, Harrington Wine, Kosta Browne, Kutch, Landmark, L’Angevin, Lynmar, McPhail, Patz & Hall, Roessler, Siduri, Sojourn, Tandem and Zepaltas.